Due to the boom that both options have experienced in recent times in the US, they were recently published two reports that address the appropriateness of one or other option for Users of a photovoltaic solar installation. Buy a facility: the traditional way of using solar energy to provide part or all the energy you need a building, be it a private home, a public building, a warehouse, a shopping center, etc. It is to buy the equipment and pay for the services of an installer or buy the facility directly to an installer. Rent a facility: as with other goods and services, there is the leasing of photovoltaic systems, very popular in the US. Installation is to pay in instalments, as if funded. They stipulated or fixed terms, or equivalent to saving electricity deadlines provided in the electric bill, so that the end user gets no debt load for installation, starting the profitability of the same with the company doing the leasing. Given the multitude of factors that impact on what may be the best choice for an end user, such an important body as NREL (National Renewable Energy Laboratory of the Department of Energy has conducted a thorough study on the advantages and disadvantages of either option develop recommendations to help better use of the various options. These reports are about the options available to customers in time to decide on which way to go on the financing of solar energy systems - either with respect to residential or commercial systems. Among the findings of the new reports, the NREL analysts determined that companies using low-cost financing for the purchase of photovoltaic (PV) and homeowners who use specific loans-solar, they are able to save up to 30 % compared to that lease solar photovoltaic systems through third parties. The weighted cost of electricity (LCOE English; levelized cost of electricity) solar systems for residential loans was lower than the LCOE for residential systems with power purchase agreements (PPA in their stands for power purchase agreement) between 19% and 29% (depending on the loan term) due to the higher cost of capital to the sponsor and tax credits in a PPP transaction. There are additional operational and financial risks associated with owning a solar active, and many of calculated savings depend on the market situation and the specific situation of an individual or business owner. For example, changes in the credit rating of the homeowner and the term of the loan can double the interest payments on the loan. "Interest rates Market-specific solar loans currently range from 2% with special provisions to 8%" said Travis Lowder, co-author of the new report. "Compare this with a weighted average cost of capital of 10.9% for third-party systems financed through investment tax credits. Using cheaper rates provided by loans could help make solar energy more affordable to more consumers and more competitive with the rates of utilities in most states. " In relation to the second report - To Own or Lease Solar: Understanding Commercial Retailers Decisions to Use Alternative Financing Models - its purpose is to identify the advantages and disadvantages between methods of funding for companies that install photovoltaic systems on their commercial buildings. The report uses case studies of two large commercial brands (IKEA and Staples) using two possible different approaches. (DOWNLOAD DOCUMENT). The self-funded LCOE for system modelling is about 30% lower than the LCOE for system funded by the PPA, given the discount rate before tax of a commercial customer of 10%; however, LCOEs are equivalent when the discount rate is 23%. Companies can see the risks of ownership different from those of a system financed by a PPP way. If a company assumes a discount rate before tax of 10% for a PPA against a discount rate before tax of 23% in cash flow, the LCOE would be 14% lower with the PPA. "The financing option for most appropriate photovoltaic for a particular business depends on the characteristics and circumstances of that business," said David Feldman, a financial analyst and author of the report. "A company should work through its various business groups to decide which is most appropriate for your situation. That said, if a company has less expensive sources of financing and are comfortable with the risks, you can often save on their energy bills by owning a photovoltaic system. " You can draw two main conclusions of both documents. 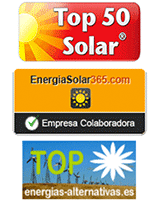 The first is general and that, from the perspective of the Spanish PV market, which was in its day pioneer and world number one, surprised to see how they have developed many mechanisms for anyone who wants to take advantage of solar energy economically. The second conclusion, more practical, is that there is no magic wand to choose the solution, rely on a professional to advise on what more you can agree to you.